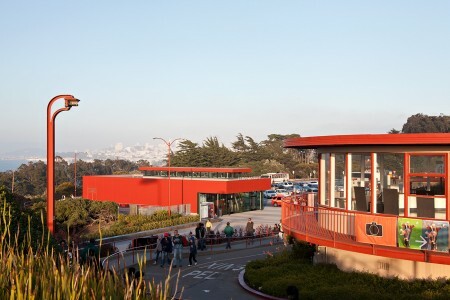 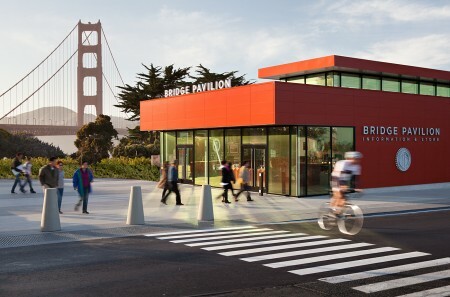 About/ In honor of the 75th Anniversary of the construction of the Golden Gate Bridge, a new Bridge Pavilion was built adjacent to the toll plaza. 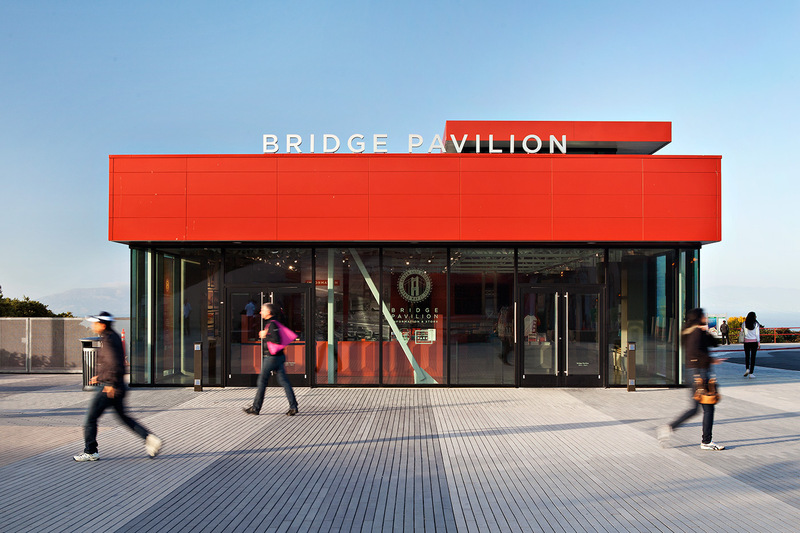 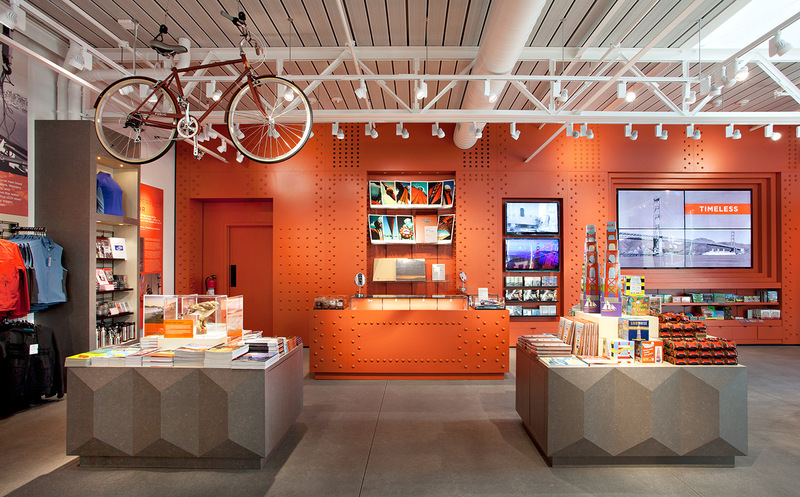 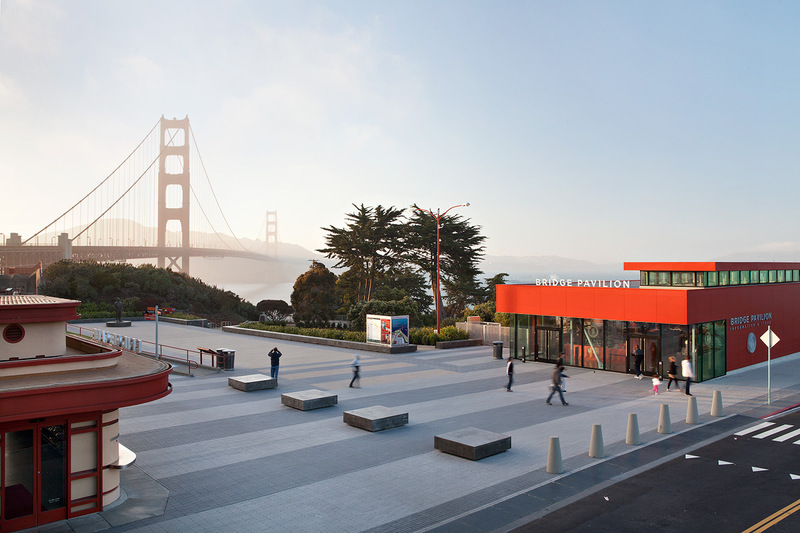 Designed in collaboration with Project Frog, the building is painted the famous International Orange color of the adjacent bridge and will serve as a vibrant hub for visitors. 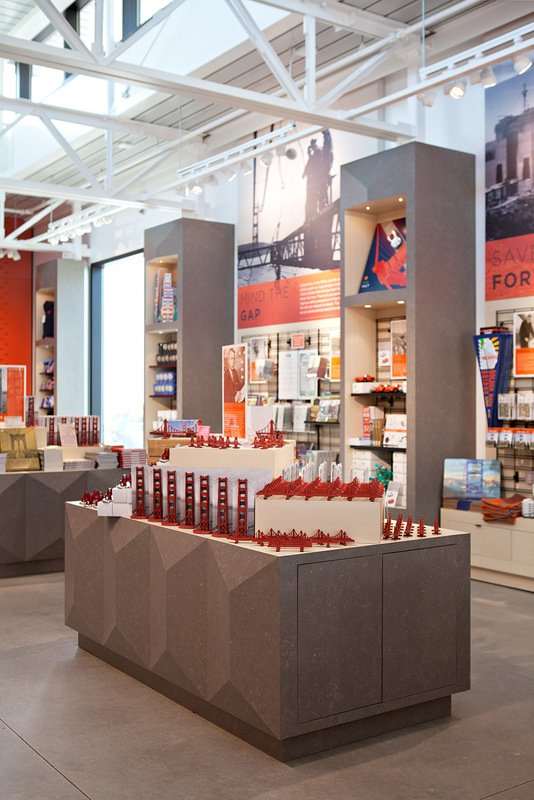 The program includes interpretative exhibits, an information center, and a retail store. The structure itself is an innovative pre-engineered green building kit comprised of standardized structural elements, wall panels, and glazing units. 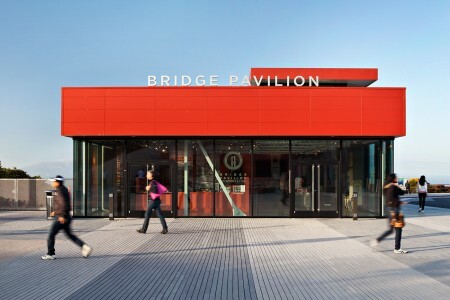 All components were fabricated off-site and quickly installed on-site in advance of the anniversary celebrations. 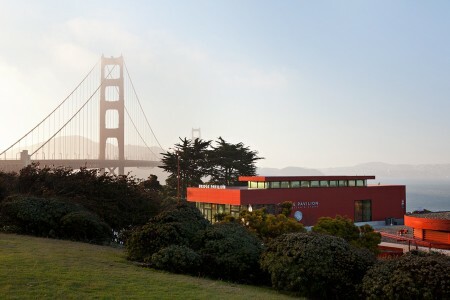 The building carefully responds to the massing of other buildings on the historic site while standing on its own as a new civic amenity with its own strong identity.